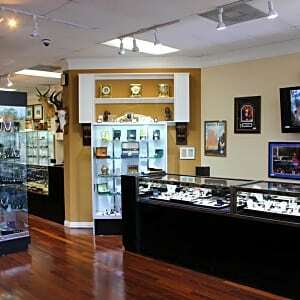 Heritage Jewelry and Loan is a family owned and run pawnshop that specializes in cash loans up to $17,250.00. We understand how hard it can be sometimes and that is why we have discounted interest rates of 10% for all items. That is half the interest you will pay at other pawnshops. Located in the heart of Sugar Land Texas, we offer fast, secure, and friendly service in a very well lit, safe and clean environment. There are never any CREDIT CHECKS or limits to the amount of money we can loan an individual. Everything is based on the value of the collateral that is pledged to secure the loan. WE ARE THE HOME OF THE 10% INTEREST LOAN. We are veteran owned and proud to help serve the community by offering discounts for first responders and active duty military. Anything of Value - including Jewelry, Guns, Firearms, Gold, Guitar, TV'S, Electronics, and Antiques. If we can look it up, we can give you a price on it!!! We loan the most on guns, watches, and diamonds. We want your business and will go the extra mile to make sure you are a happy client. Friendly staff. Can't wait to come pick my gun back up. Great experience. Hope to do more business with them. The people were nice and courteous, took care of business. I would be happy to do business with them again. Awesome experience! They were kind enough to purchase an additional item from me (they contacted me through Pawnguru and their offers for two of my pieces were by far better than their competitors). The third item they purchased matched the purchase price another shop had offered me, saving me time, money and a trip to the other side of town during rush hour. Very well kept, friendly, safe and not at all what one might expect from a “pawn” shop. I highly recommend their business. Thank you Heritage Jewelry and Loan. Good place to go, trustworthy. Awesome service! Nice, clean store. Staff friendly and helpful! Would highly recommend. Heritage Pawn provides a level of customer service that is unheard of in the pawnshop business!! I felt welcomed immediately! Excellent service and fair price. I recommend this place. It is worth the drive. Went to Heritage a 2nd time today and was pleasantly surprised with their high offer. I always learn something from the people who work there, such as the current market value of silver or the current resale value of pearls. I also learned through Heritage's valuation of my items that my ex-boyfriend bought me a bunch of crap jewelry worth zero dollars and he might as well have taken me to a gumball machine to pick out something pretty . You can't put a price on that knowledge! I highly recommend these guys...they are honest, fair and friendly! Excellent service. They were friendly and gave me a fair price. The transaction from start to finish took less than 20 minutes. I would recommend this pawn shop to anyone who needs to pawn or sell a firearm. Great business. Honest and straightforward. Got more than I expected and more than I was quoted on Pawn Guru for my item. Associates were friendly and educated me on the item that I had and the entire pawn process. I will definitely go back to them. I was very pleased with my experience with this shop. I found them to be very professional and courteous . I also believe I got the highest dollar for my item that would have gotten in such a short amount of time , without taking the time to sell it myself . I was shown what the item was selling for on well known websites and it was only slightly less what they gave me . I appreciate the way they do business and found it to be transparent and honest . I would do business with them again . Great place. Always has the highest offers. Nice people. My experience with this site was positive. Will recommend and use it again. Have worked with these guys twice now, and am always impressed. They gave me a great price and the staff is incredibly friendly. REALLY QUICK SERVICES, FRIENDLY, AND THERE PRICES ARE REASONABLE. Great , got just what we made the deal on and great customer service . Awesome experience at Heritage! I was in and out in less than 10 minutes with an incredibly fair price. I had never used this sort of service before, but they made it very easy. I would definitely recommend them to anyone looking to sell jewelry. James & Heritage Pawn are simply the best, other shops only wish they were this good but they don't try hard enough. I drove 23 miles each way to do business with them. (3rd time now) There's easily 23 pawn shops within 5 miles or less of where I live! These folks are friendly, professional A++ so give them a shot the next time you need to Pawn, Sell or buy something and you'll be glad you did. Nuff Said! Kudos to Pawn Guru for helping me find these guys you all rock! ;-) Chuck.F/Heights Tx. Everything was great! I was in and out and the service was top notch. They bargained with me so we could both get what we wanted. I definitely would do it again. Great to work with Heritage. Simple, easy process through PawnGuru. Will definitely look to use them again. It has truly been a pleasure, well, more than a pleasure to have this store there to do business with. Their merchandise is quality, and first class. James and the other store operators are those two things as well, to put it simple. They do business honest and straight forward. 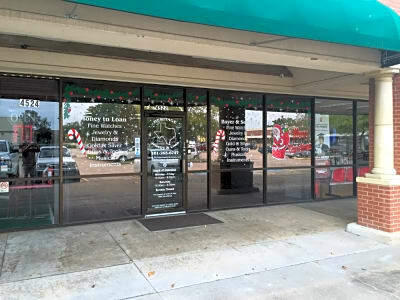 They pay out one of the best, most desirable loan and cash amounts in the Houston/ surrounding areas spectrum of Buy and Loan businesses...and I have been to over three dozen different pawn and loan stores, do I know. Will certainly be happy to contiue here! Great experience. They honored the offer they issued online. Quick and easy process. Best place ever ! Friendly fast and above all the best help when you are in a Jam or just want something really nice ! From the owner to the workers super friendly and fast ! Awesome guys to deal with. Gave me what I needed. Good Offer, Great Communication now to meet the owners in person???? Was selling a few items, the whole process was smooth as butter, it was so much better than I expected since this was my first time selling something to a shop. I will go here again if the need arises! Gave me more than they originally quoted. Couldn't ask for better. Just a great all around nice expetiemce and awesome people.